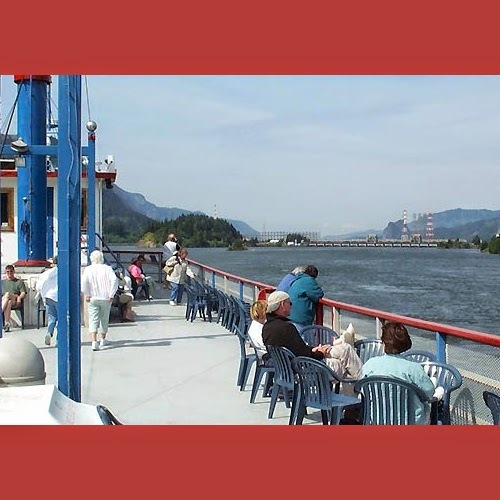 Join the Sternwheeler All-Day Cruise to Cascade Locks, Oregon on April 11th. This specialty all day cruise is only offered twice a year so you'll want to get your tickets before they sell out. The Sternwheeler is owned by the Port of Cascade Locks while operated by the Portland Spirit. Learn more about thise All-Day Specialty Cruise below. Ride the Columbia Gorge Sternwheeler on a one-way cruise and enjoy the sights including the bridges that make Portland famous, Bonneville Locks and Dam, Multnomah Falls, Rooster Rock and Vista House. You’ll be treated to freshly prepared Northwest cuisine and Captain’s narration. Board boat in Portland, cruise to Cascade Locks with bus transportation back Portland. Includes: Captains’ narration, continental breakfast, buffet lunch, dessert, coffee, hot tea, service charge and bus transportation.